For the first instalment of our “Meet the team” series, we spoke to Charlotte Smith, aka Charlie. Charlie is the heart and soul of our Customer Success team and works with tens of clients from a variety of industries. 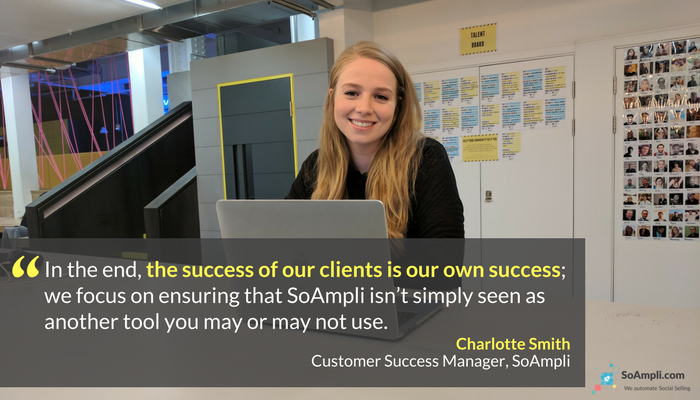 Charlie is the go-to person if you have a question about our product, not only does she know the SoAmpli platform inside out but she understands better than anyone, how to delight our clients! 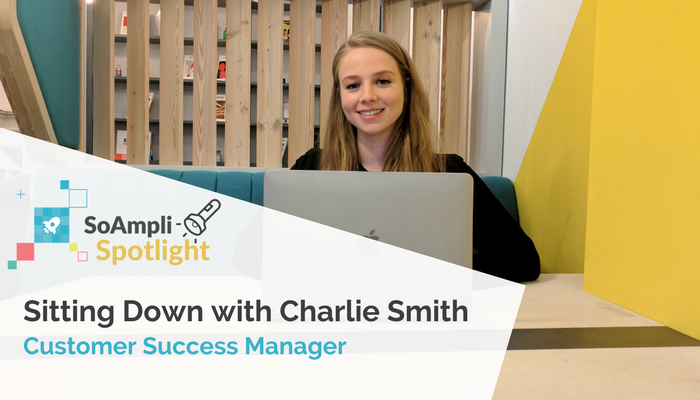 Q: Charlie, tell us a little bit about your role and your SoAmpli journey so far. Since joining SoAmpli a just over a year ago I’ve had the opportunity to work with some incredible businesses and have onboarded more than 1500 people! The great thing about my role is that I am there every step of the way, from setting initial KPIs, to monthly reporting and strategy sessions to ensure all objectives are being met. SoAmpli is the first startup I’ve worked at which has been an incredible experience. Working as part of a small team means more responsibility in an incredibly fast-paced environment, where you have to constantly adapt. The most challenging part about working for a startup is prioritisation. There are always ten things that would be great to be done immediately, but I’m really starting to learn to step back and really focus on what needs to be done right now. Q: Wow! You’re the ultimate onboarding queen! Can you tell us what makes the process so successful? It’s always exciting welcoming a new client to SoAmpli. We understand that launching a social selling programme is something very new for a lot of companies, that’s why we work really closely with our clients to understand their objectives, internal structures and preferences, and create a customised onboarding plan based on that. In the end, the success of our clients is our own success; we focus on ensuring that SoAmpli isn’t simply seen as another tool you may or may not use. The incredible simplicity of the platform really helps with that (one client with no social media experience once defined it ‘stupid simple’, and we took it as a great compliment! ), but we also do our best to explain what the benefits of using SoAmpli are to you as an individual. 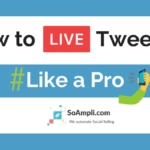 Even if you’ve never been a social media user, just a few minutes a day on SoAmpli will help you boost your online presence, expand your network, reach more prospects, qualify your leads faster. We start with the WHY, before moving into the nitty-gritty of the HOW. Q: What’s your favourite part of onboarding new clients? I really love working with a variety of industries as I have to really fine-tune the approach to onboarding each time. This customised approach is what helps us have great participation from the get-go, and it’s one of the most stimulating parts of the job! Charities, banks, environmental services, B2B tech, recruiting, insurance, sports media… name an industry and I’ve probably had the pleasure of working with them! Q: What’s the SoAmpli approach to user training? Every client is different, and every individual user has personal preferences. That’s why we work really hard to make sure we cater to the different ways people learn, with our training material ranging from online webinars and in-person sessions to quick, snackable tips delivered directly to people’s inboxes. The results of this approach are really amazing. We train a lot of people who might have never sent a tweet before, and within the first week they can start seeing engagement from accounts with 500K followers. One of my favourite stories is from our client, Adopt A Child. Within a few months of implementing SoAmpli, they had such great engagement from their staff that they attracted the attention of a major UK publication and were featured as an example of a small UK charity tackling digital transformation! This shows that any type of organisation can achieve success through social media. Q: How does your team get people to actually use the platform? The key for us is to really become part of our clients’ routine, the one thing on their to-do list that they will effortlessly stick to. We’ve worked really hard to develop features that deliver the maximum impact for the minimum effort, such as 1-click scheduling. By spending a few minutes on the platform every week, you can sort out your whole week’s worth of posts, populating your channels with relevant content that will help you get ahead in your industry. We know how busy salespeople are, so if they keep coming back for more it’s because they’re really starting to see results – and that, for us, is the most important thing! We also try to understand user behaviour as much as possible to identify any interesting patterns. For instance, we discovered that if the marketing team sent out email reminders featuring the top posts of the week on Friday afternoon, their colleagues were much more likely to engage with them. This ‘end of the week’ mindset really worked, and that’s one of the suggestions we give to all our clients to help them make the most of SoAmpli. Q: Do you see clients’ use of SoAmpli changing over time? Definitely! Some of our clients have been with us for a few years now, and seeing how they use and take value from SoAmpli over time has been simply incredible. When onboarding a new client, we always start by focusing on their current social media strategy, what their existing KPIs are and how SoAmpli can help hit and exceed them, becoming an extension of their objectives. But what’s interesting is that, over time, marketing teams start adjusting their strategy based on the additional insights they are able to gather through SoAmpli. Our real-time analytics help them understand what types of content are most useful for salespeople, helping align the two disciplines’ objectives and strategies. Q: How do you ensure clients stay on track after the initial hype? From the very beginning, we keep track of your progress, to make sure the adoption rate is on track with your initial objectives and our existing benchmarks. We share thorough monthly reports with all our clients, looking into their progress, we want to understand any hurdles to action and work on strategies to re-engage the least active users. When needed, we can also provide ad hoc activation plans, with suggestions on what competitions to run or how to maintain interest in a project during quiet months (i.e. summer), and this is all based on our extensive experience working with thousands of users. When it comes to internal competitions, it’s brilliant to see how powerful throwing a bit of office rivalry into the mix can be! At the same time, we offer refresher courses on an on-going basis. We understand your new hires should be onboarded with the same care their colleagues received at the time of launch, which helps us keep your engagement rates high! Q: How do YOU use SoAmpli in your daily routine? When I arrive in the morning, I love to make a coffee and open SoAmpli to see what I can share that day. Thanks to our amazing marketing team, I always have a diverse range of posts to choose from. The mix of original SoAmpli content and expertly curated third-party stories means I have access to content that I would otherwise struggle to find the time to source myself. 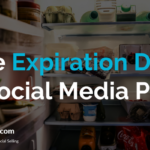 Automated scheduling has been a game changer for my social media routine. My automated queue consists of time slots in the morning, afternoon, and evening, which means I can schedule my posts in one click, within 5 minutes, and then carry on with what I’m doing that day. At the end of the week, I’ll check on my personal insights to see my click-through rates, and reach. I especially look to my Twitter analytics to inform me of who is mentioning me, and if I should alter the times I’m sharing based on my engagement rate that week.